ORF HD TV is the main Satellite TV platform from Austria therefore viewers can access all the main channels from Austria and a huge line up of national and international channels. ORF HD TV Austria Official 12 Months Viewing card.. ORF TV broadcast from 19.2 East on Astra 1 . ORF smartcard is encrypted in Irdeto CI+ therefore Cam and Decoder has to be CI+ compliant . 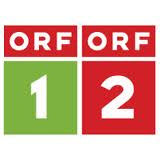 ORF TV Austria Official One Year viewing card broadcast from Astra 1 at 19.2 degrees East . ORF TV offers a selection of national TV and radio channels in HD from Austria..
To view the ORF TV package you will require to have an HD digital satellite receiver with a CI+ Irdeto CAM. Please note: Unless we have this card in stock this subscription can take estimated between one to three weeks to arrange. Once we have started the order process it cannot be cancelled. ORF TV is the first Austrian satellite platform, therefore viewers can access all the main Austrian channels available and a huge line up of national and international channels. ORF HD is the new digital TV service for Austria, includes the ORF Smartcard only.. This package will allow you to watch all the TV channels available from Austria even when scrambled during movies and other sport events. Channels are subject to change without notice by the broadcaster. This viewing card is offered for Domestic Use only. No warranty is supplied on the card if damaged or misused. Cards are sold on the understanding that they are used only in the Official Decoder or Cam. You can purchase this product via Mail Order Nationwide and beyond or we can also offer a domestic professional installation for London area, Kent area and within the M25 area. Please select the option that best suits you. Price for the domestic Home Installation Set Up includes the fitting/installation of the satellite receiver on an existing satellite system with the dish pointing at Astra 1 @ 19.2 East and does not include the cost of Parking and/or Congestion Charge if your property is located in the restricted area and/or with no-free parking.